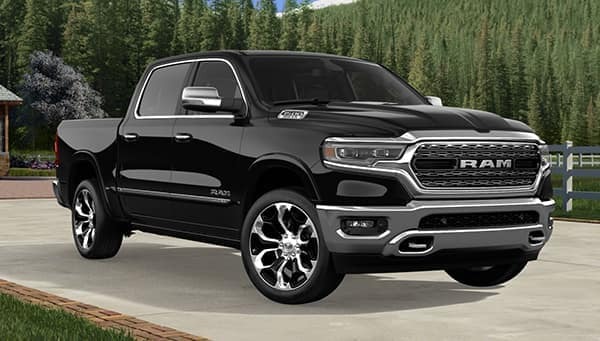 From every angle, the new 2019 Ram 1500 models available at Atlanta West Chrysler Dodge Jeep Ram automatically grab the attention of each customer that steps foot inside our dealership. 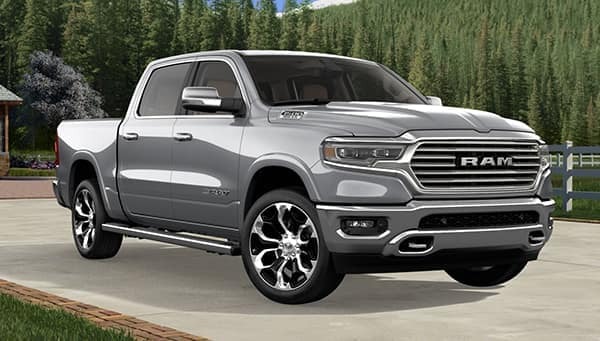 With a completely new design that includes a revamped grille, a 48-volt mild hybrid system and a 12-inch infotainment screen, it’s easy to understand why these new 2019 Ram 1500 trucks are such a big hit with our Atlanta, Georgia customers. Crafted to impress in every area and from every angle, including design, safety and capability, Ram 1500 is revolutionizing everything about the modern day truck in model year 2019. 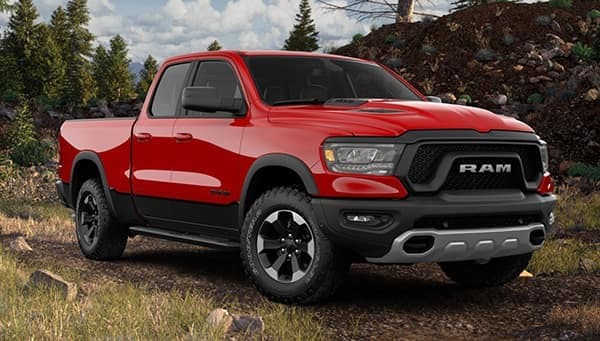 Bolder and more aggressive in all the right areas, Ram 1500 combines chiseled grace with rugged toughness in model year 2019 to form a completely new take on our definition of a modern day truck. The sculpted hoods and elaborate grille designs featured with the new Ram 1500 lineup at Atlanta West CDJR are hiding some serious enhancements under the hood, including full LED headlamps and an active grille shutter. The new aluminum tailgate of the 2019 Ram 1500 features an updated badge with bolder shaping, to go along with an integrated spoiler that works to improve both appearance and performance. With an exterior design that intentionally drives air to the box in order to provide advanced aerodynamics, other features of the 2019 Ram 1500 that include a class-exclusive active air dam and active grille shutters automatically deploy once these innovative trucks reach higher speeds. When deployed these featured give the 2019 Ram 1500’s at Atlanta West CDJR a lower frontal drag coefficient, which leads to a more efficient Georgia truck driving experience. 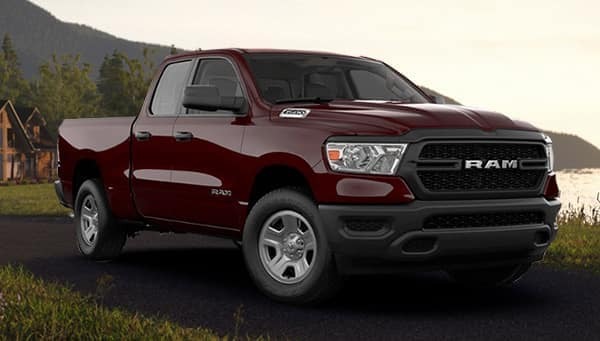 Ram 1500 incorporates features in model year 2019 that include available power side running boards and dampened tailgates in order to ensure that Atlanta owners are able to access all areas of the vehicle easily. 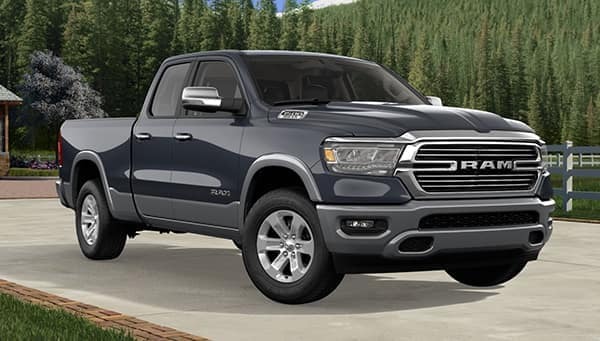 Carefully crafted to be some of the most tech-savvy trucks on the busy roads and highways of Atlanta, the 2019 Ram 1500 integrates device connectivity and state-of-the-art automotive technologies to provide a truck driving experience that’s absolutely unique. The available Uconnect® 12.0 with Navigation features an advanced 12-inch touchscreen that includes a customizable home screen with pinch-and-zoom technology, split-screen capability and physical controls for key features. This makes it quick and easy for Atlanta, Georgia owners to locate all of the important vehicle data they’re seeking. New 2019 Ram 1500 trucks at Atlanta West CDJR feature frame-mounted active tuned mass modules that work in unison with an available interior active noise cancellation system, reducing ambient sound and providing interior quietness of just 57.6 decibels adjusted, in real world conditions. 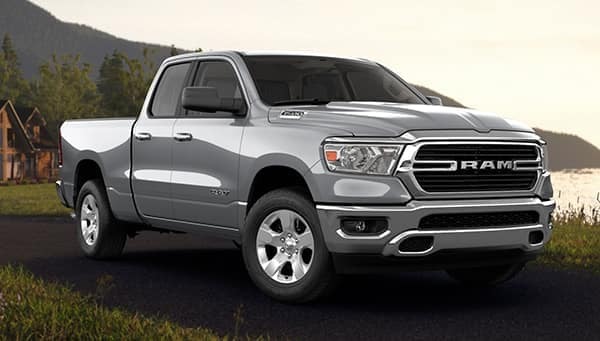 Ram 1500 also boasts an available 900-watt Harman Kardon® Premium Audio System for model year 2019 that includes 19 speakers, and is even available with genuine stainless steel speaker grilles (Limited models). 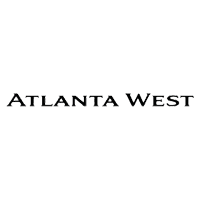 Atlanta West Chrysler Dodge Jeep Ram serves customers from Atlanta, Lithia Springs, Douglasville and all of the surrounding communities, helping them find the new 2019 Ram 1500 that best suits both their lifestyle and budget. We’re proud of the premium level of customer service that our sales team is known for providing, and we do everything in our power to ensure that each person entering our dealership leaves satisfied. When you’re ready to purchase your new 2019 Ram 1500, come by 1251 Thornton Rd. in Lithia Springs, Georgia and speak with any of our friendly and knowledgeable sales personnel.